Welcome to the Plant Breeding and Plant Genetics (PBPG) program at the University of Wisconsin-Madison. Established in 1968, the interdisciplinary PBPG program leads the nation in the number of plant breeding graduate degrees granted in the last twenty years. 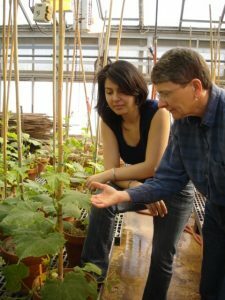 Includes faculty from the departments of Agronomy, Biochemistry, Botany, Genetics, Horticulture, Plant Pathology, and Statistics. Wide variety of crops studied. Vibrant campus and active plant science student community.